Interactive Periodic Table from ABPI. "This module is in the form of a game and can help you understand patterns and trends within the Periodic Table. It can help increase your knowledge and understanding of the characteristics of each element." Players may choose which elements to work on, levels of difficulty, and time setting options. Beginners will want access to a periodic table for reference. These colorful, fun, and informative periodic tables are great for elementary, middle, and high school students, as well as adults. These works are licensed under a Creative Commons Attribution-ShareAlike 4.0 International License. This pictorial periodic table is colorful, fun, and packed with information. In addition to the element's name, symbol, and atomic number, each element box has a drawing of one of the element's main human uses or natural occurrences. The table is color-coded to show the chemical groupings. 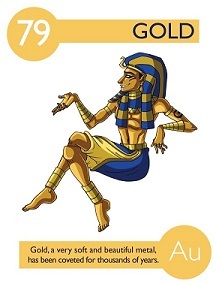 Small symbols pack in additional information: solid/liquid/gas, color of element, common in the human body, common in the earth's crust, magnetic metals, noble metals, radioactive, and rare or never found in nature. It does not overload kids with a lot of detailed numbers, like atomic weights and valence numbers. Elements in Pics, Elements in Words, Elements in Pics+Words, Elements in Pics (Simplified), Elements Cards (32 cards), Atomic Orbitals, and sub-atomic Particles (two posters). You can download all these as pdf files or medium-resolution PNG images, and you can buy full-size posters. All material is copyrighted by Keith Enevoldsen (author/artist), and donations are appreciated. Periodic Table of Elements from Corrosion Source. This site may not look "busy" at first glance, but it gives good information, lets you move around within the table in a unique way, and has sections for each element covering history, properties, sources, and uses. This is part of a large group of sites about the atomic elements. Related links can be found on the right side of the page. 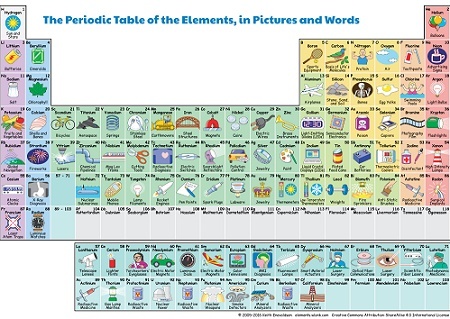 Periodic Table of Elements from dyah.com. Very colorful and informative! Click on an element and see its Wikipedia entry, or click another tab and learn about its properties, orbitals, and isotopes. Lots of information well arranged. Periodic Table of the Elements from Enchanted Learning. Your basic table but for somewhat younger kids. Explains how elements are arranged, explains atomic number, has different series color coded, and shows how many valence electrons the elements in each series have. Associated pages are The Chemical Elements (printable matching exercises and making element wheels as study aids), and the Table of Elements, a printable table with a 10 question quiz (answers available - for subscribers only). The $20 annual subscription to this huge site is well worth the money. The Periodic Table of Videos from the University of Nottingham. Sure we have links to other quite good periodic table sites, but nothing like this! Each element has a video telling its history and usually a little demo of what it's good for. Very educational and sometimes quite funny! Do not fail to check out the dozens of Extra Videos, including some out takes! Personal favorites: (1) Coke Cans react with sodium hydroxide and with hydrochloric acid! (2) Buckyballs! The Photographic Periodic Table of the Elements "There's a whole lot of stuff here, many thousands of pages of text, stories, pictures, and data. Most of it you get to by clicking on the individual elements on the front page, or using the navigation bar the top of nearly every page." Includes wonderful photos of the elements in their natural state, "Hundreds of descriptions of the objects. Complete technical data about every element. Complete information about radioactive decay chains." Proton Don from FunBrain is an elementary game for learning the Periodic Table. The games teaches the elements' names and their symbols. Different levels and challenges scale and scaffold the process. It's for younger students, so there's nothing about atomic numbers or atomic weights, or groups, metals, etc. Setting the Periodic Table from the Science section of Mr. Nussbaum.com - "A Thousand Sites in One." Scroll over the various elements to learn more about them, or play the game to see if you can find them on the chart. We are so glad Mr. Nussbaum sent us that email about his site, because it is world-class! Visual Elements Periodic Table "The Royal Society of Chemistry's interactive periodic table features history, alchemy, podcasts, videos, and data trends across the periodic table. Click the tabs at the top to explore each section. Use the buttons above to change your view of the periodic table and view Murray Robertson’s stunning Visual Elements artwork. Click each element to read detailed information." Neat things about this site: A sliding scale shows the state of each element (solid/liquid/gas) a temperatures from 0 Kelvin to 6,000 Kelvin; a History sections uses the sliding scale to show when each element was discovered; an Alchemy section shows alchemists' symbols for the 16 elements they knew; there are also podcasts and videos for each element; and a Trends sections that shows periodic tables for Density, Atomic Radius, and Electronegativity! WebElements The Periodic Table on the Web. From the UK via the University of Sheffield comes this interactive site. 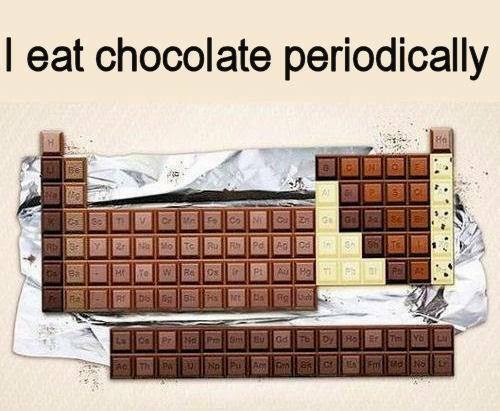 Choose an element from the periodic table. Click on the speaker and hear about the element you've selected, or just read the information. Includes description, essential data, uses, history, compounds, etc. Click Find a Property to find out about relative abundance on Earth and elsewhere, valence, orbitals, an long string of other facts. The You Are Here helper at the top of the page keeps students from getting lost. If you need a fact about any element, it's in here. Oh, did we mention the interactive graphs on the first page?